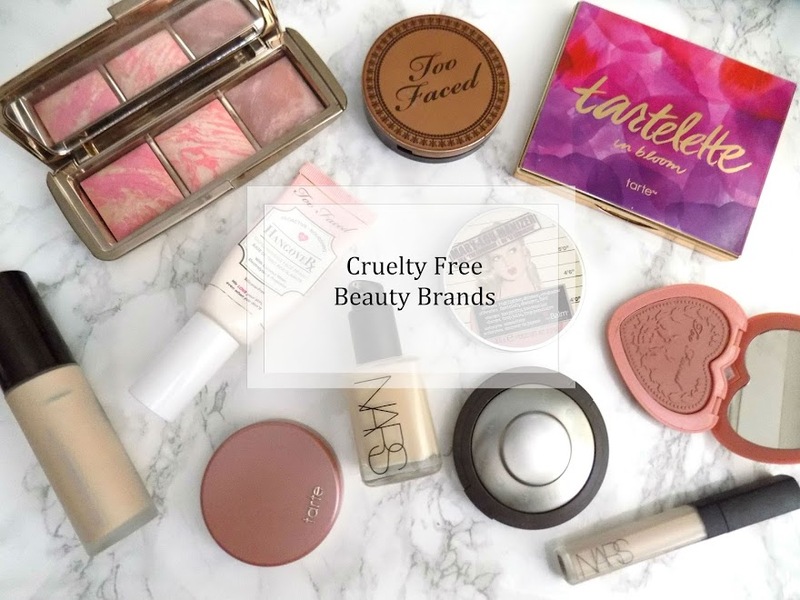 When it comes to transitioning from Autumn to Winter, there's a few products that I have in my collection that always makes an appearance. 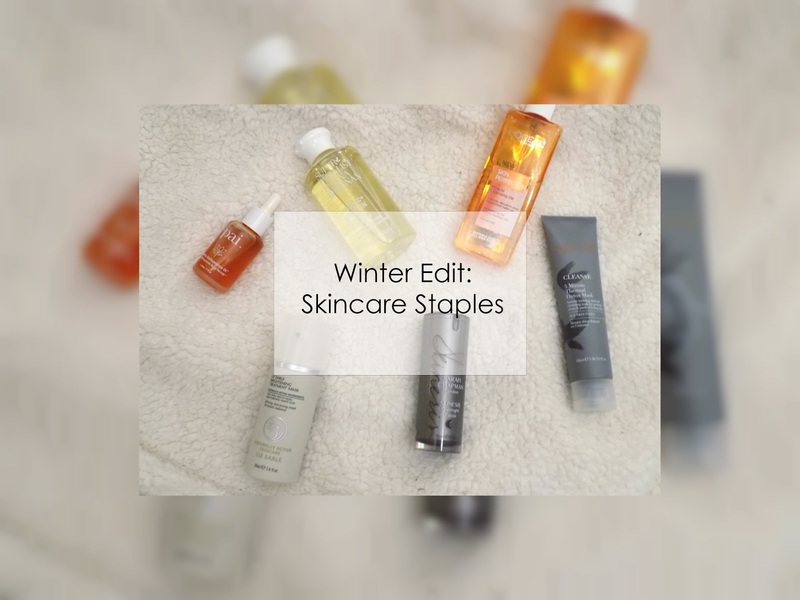 So to continue Blogmas, today, I will be sharing my winter essentials when it comes to my skincare and tomorrow will be all about the makeup. So for the skincare, I first have to deal with giving my skin a radiance boost, and the Liz Earle Brightening Treatment Mask is still a favourite (this was in last years skincare essentials) as it has witch hazel, camphor oil and aloe vera to provide a quick-fix in just two minutes, which makes this a great morning treatment to give your skin a boost. The only thing I will say is if you use this in the morning is that you use a good moisturiser to make sure your skin is well nourished and looked after, as I find it can make my skin a tad tight and feeling dry. I like to use the Soap & Glory Beauty Sleep Accelerator Night & Flight Moisture Miracle as it's my favourite moisturiser. It's hydrating and smoothing and my skin always feels so fricking soft when I use this. I will continue to repurchase this for as long as possible. When it comes to moisturising the skin, mixing a face oil with your moisturiser, primer or foundation is a great way to keep your skin looking and feeling healthy. 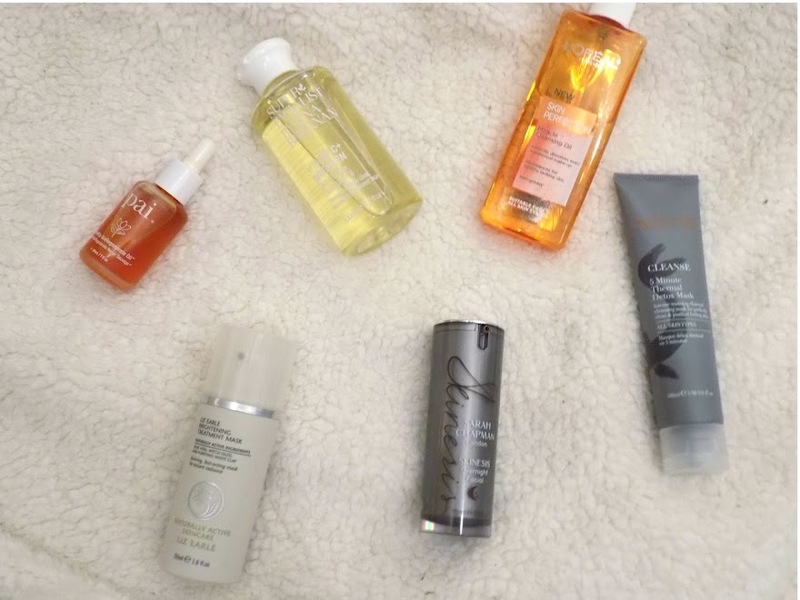 So either the Pai Rosehip Oil or the Sarah Chapman Overnight Facial does all of this and protects your skin throughout the day and are my go to's, but if you don't have a facial oil, Argan Oil is just as effective, or you can incorporate a cleansing oil into your skincare routine as part of removing your makeup as both of the ones I use, the L'Oreal Miracle Cleansing Oil or the Superfacialist by Una Brennan Vitamin C+ Skin Renew Cleansing Oil which is a new purchase and addition to my skincare stash, do wonderful things for my skin and I instantly notice a difference if I don't use them. So there's a quick look at my skincare routine. 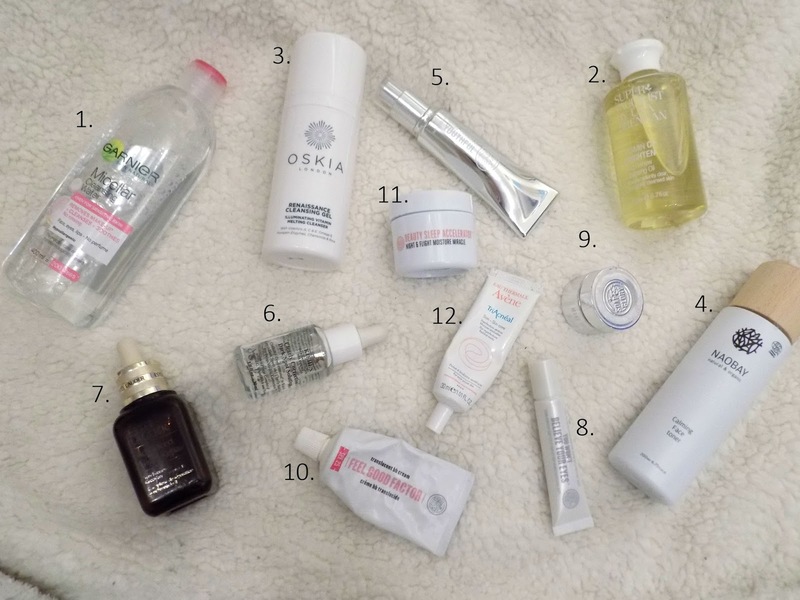 I really love and rely on all of these skincare products I am using, even if it does seem a tad excessive. My skin has been acting well to this regime and I want it to continue that way. I do try new things but mostly I go back to these products. 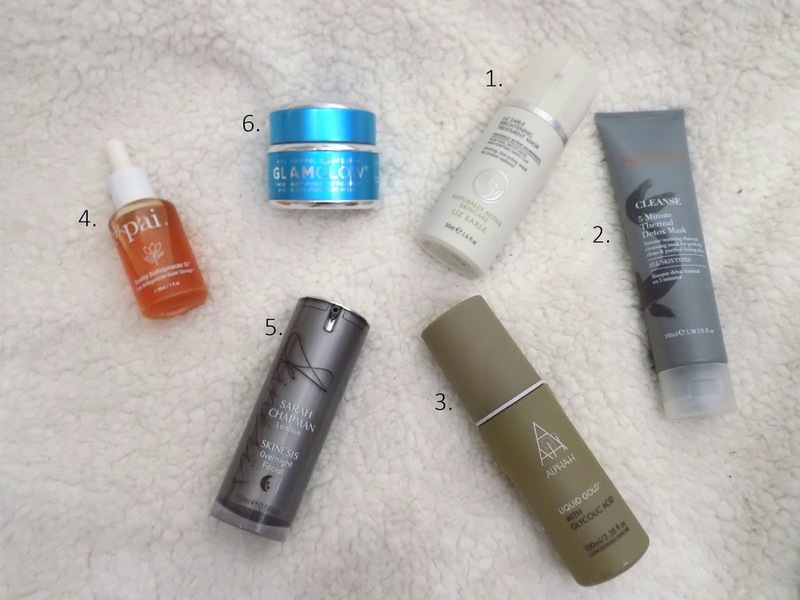 *Disclaimer: I am currently trying out two of the above products, the Superfacialist by Una Brennan Vitamin C+ Skin Renew Cleansing Oil and the Sanctuary Spa 5 Minute Thermal Detox Mask, therefore I have not created a full opinion on these products and as always, my opinions on products are always 100% my own, which means what may work for me, may not work for you and vice versa.